The ocean anglers of this world is split between those fishing off boats and those fishing from the shore. 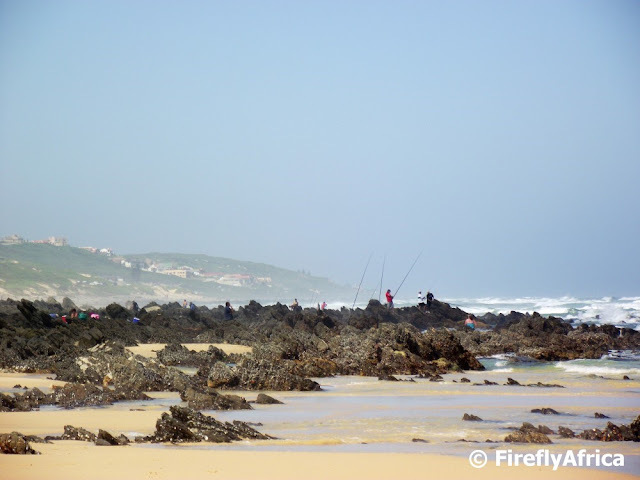 Port Elizabeth has a number of popular angling spots ranging from the dolosse to the rocks and beaches along the Wildside and Maitlands area. The rocks at Polock Beach below the old Something Good roadhouse is another spot where you will always find a couple of fisherman. 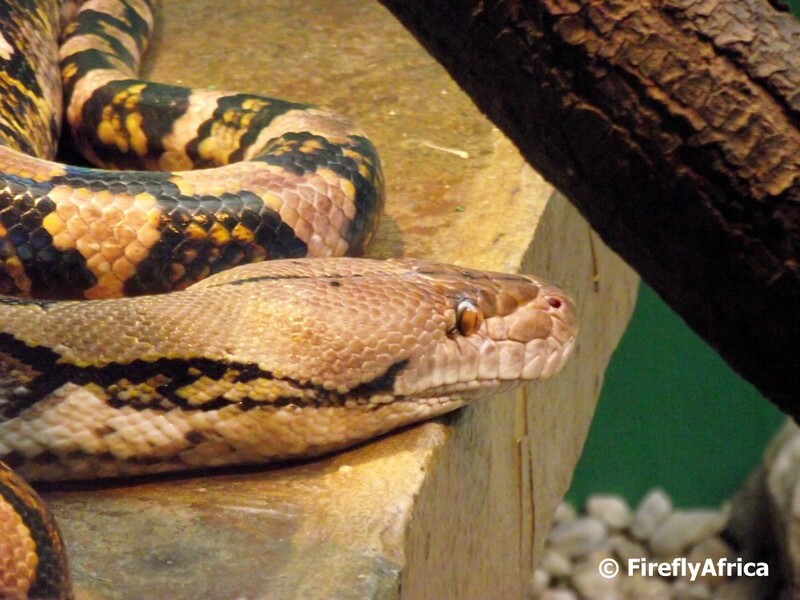 The Reticulated Python is one of the Snake Park at Bayworld's prized snakes. Out of all the snakes on display she probably got the most attention and comments by the kids that we took to the Snake Park for Chaos Boy's birthday party. 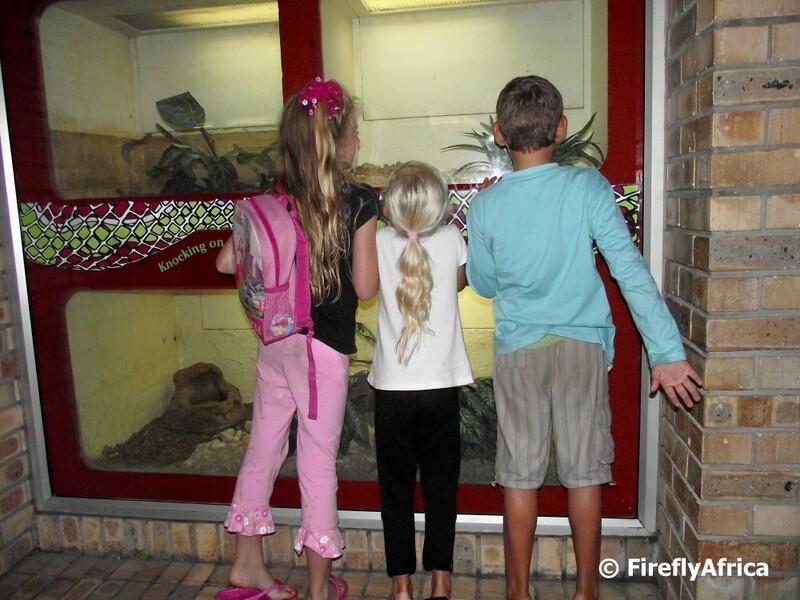 Drama Princess (in the middle) and a couple of Chaos Boy's friends checking out the snake displays at the Snake Park at Bayworld. They have downscaled the Snake Park a bit from the days when I was a child, but its still very interesting seeing all the different snakes on display. Better late (more than two week late that is) than never. 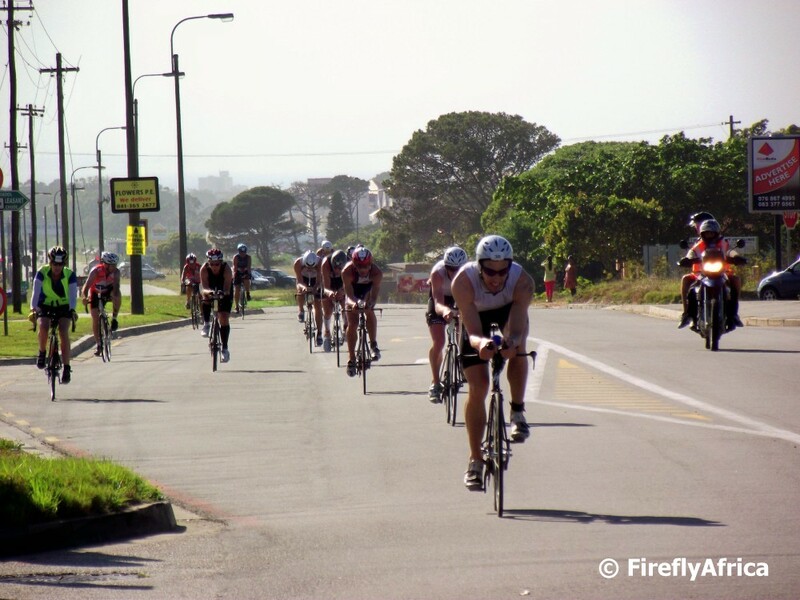 I decided not to photograph the Ironman South Africa event here in Port Elizabeth this year. Well, it was more a case of we wouldn't have been in town and when it turned out that we were I decided to rather spend time with the family. I did pop down to Buffelsfontein Road at Mount Pleasant to have a look at the cyclists coming by. About 15 minutes after getting there the leaders came flying up the road on their second lap of three, passing the back markers already. By the time I got the camera out the top three had passed already but here are the chasing pack coming up the road with some of the back markers getting out their way on the left. Next year I will be back on my post for this event. 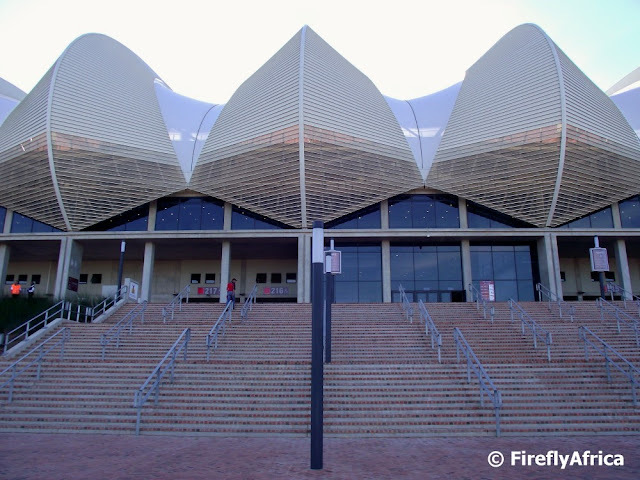 One of the lesser known, but by far not lesser in importance, monuments in Port Elizabeth is the Mendi Memorial in New Brighton. The SS Mendi was transporting 823 members of the 5th Battalion, South African Native Labour Corps to France during the First World War and was struck by the SS Darro in think fog off the coast of Plymouth. 616 South Africans, 607 of them black troops, plus 30 British crew members died in the disaster. 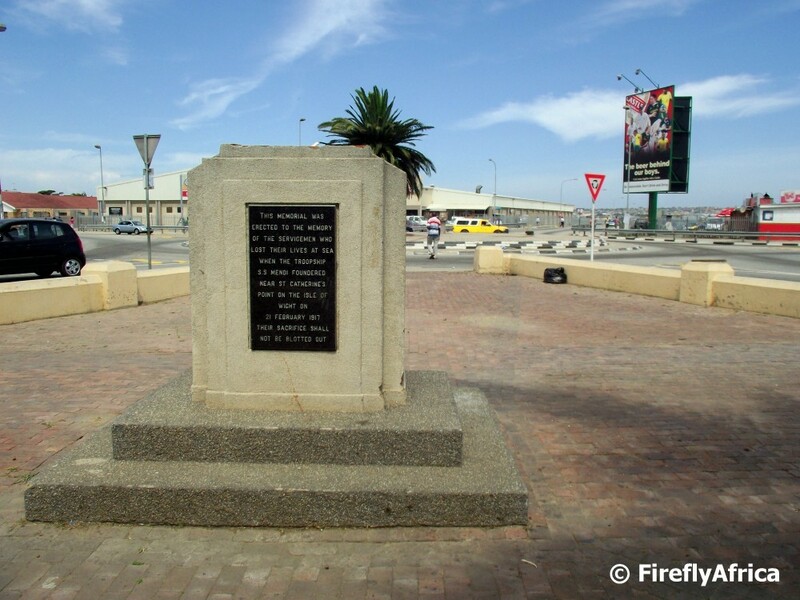 The majority of the men of the South African Labour Corps were from the rural areas of the Pondo Kingdom in the Eastern Cape and this memorial remembers them. 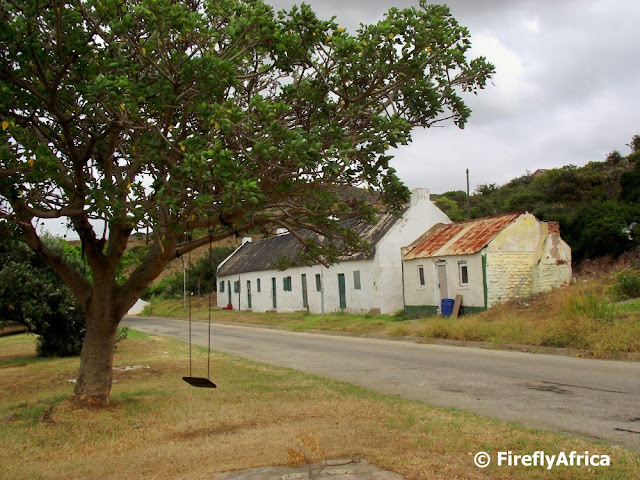 I did a more extensive post on the SS Mendi a little while ago on The Firefly Photo Files. Please click the link and read the whole story. We took a bunch of kids to Bayworld for Chaos Boy's dinosaur birthday party (I haven't edited the party photos yet but will post a couple at some stage) and I spotted this "smiling" marsh terrapin at Bayworld's Snake Park. 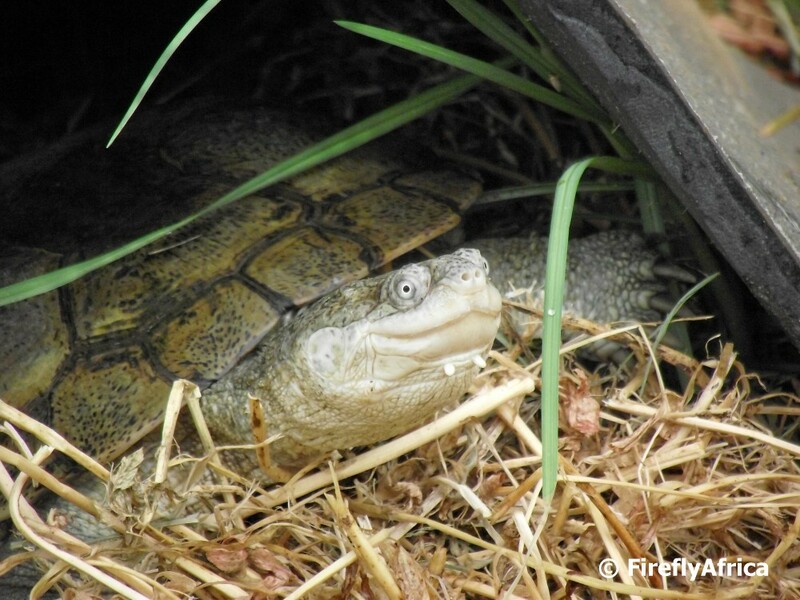 Happy chap if you ask me. Looking north out from the Campanile observation area the view is basically taken up by the city centre and Settlers Freeway. The Nelson Mandela Bay Stadium is visible on the right in the background while you can just see the big South African flag on the Donkin Reserve on the left. The viewing area of the Campanile has a window on each wall of the room giving you a view all around it. 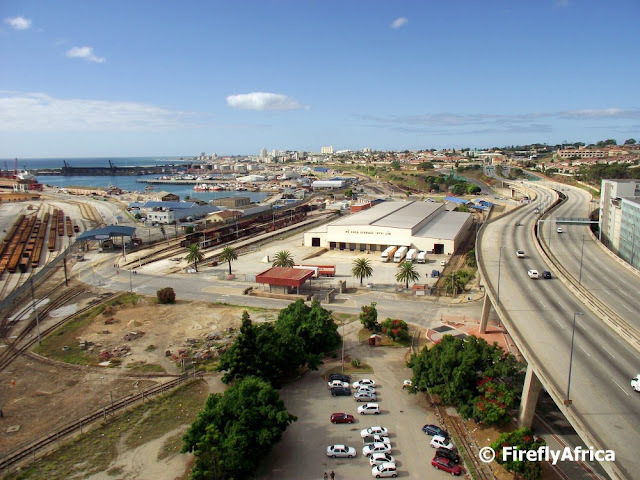 Looking south the Port Elizabeth Harbour and Settlers Freeway is in the foreground with the beachfront in the back. 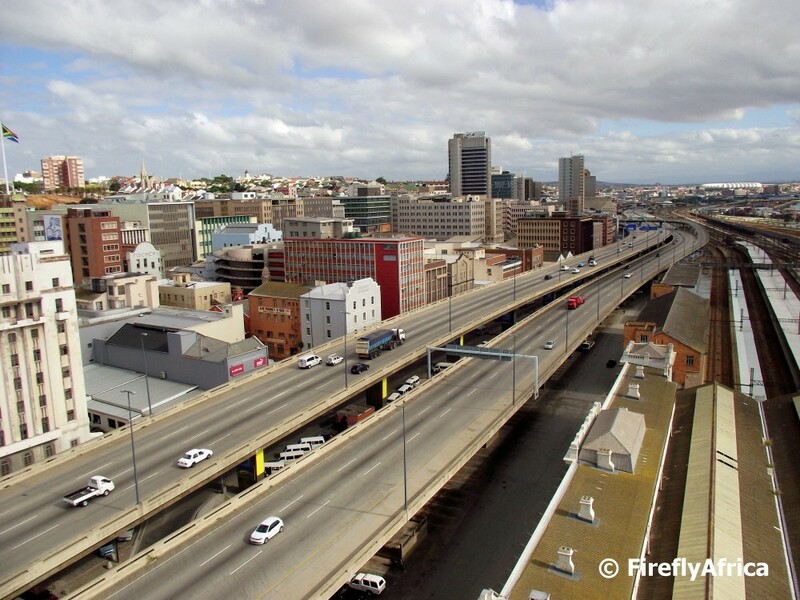 The big warehouse in the middle of the photo is a cold storage facility. I climbed to the top of the Campanile with a reporter from the local newspaper the other day. Problem is that before you get to the top you have to climb 204 steps to get there. The view really does make up for the effort though. Here are 2 of 204 steps... Don't look up, just get your rhythm and keep climbing. The beach at Maitlands is a very popular spot over weekends. Guys fishing next to the rocks, families wading in the shallows or climbing the giant dune, dogs chasing balls, lovers hand in hand on the long white beach, people having braai's, etc, etc, etc. 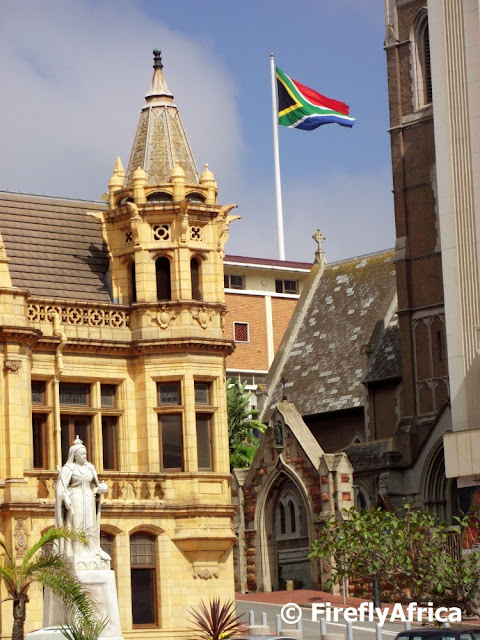 I had to go to a meeting in the city centre the other day and spotted the big South African flag flying on the Donkin Reserve in between the historic buildings next to Market Square. On the left the the historic Public Library with the statue of Queen Victoria in front of it while the building on the right is St Mary's Anglican Cathedral. 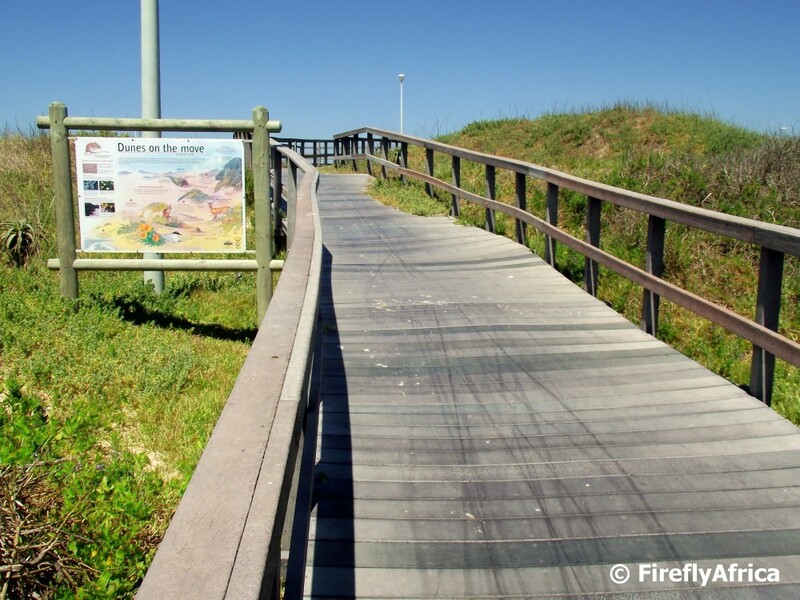 Taking a walk along the beachfront, specially down on the Humpback Dolphin Trail section, there are a number of access walkways linking the main walkway with the beach to avoid people walking on the dune vegetation. Why did the chicken cross the road? To get to the other side. 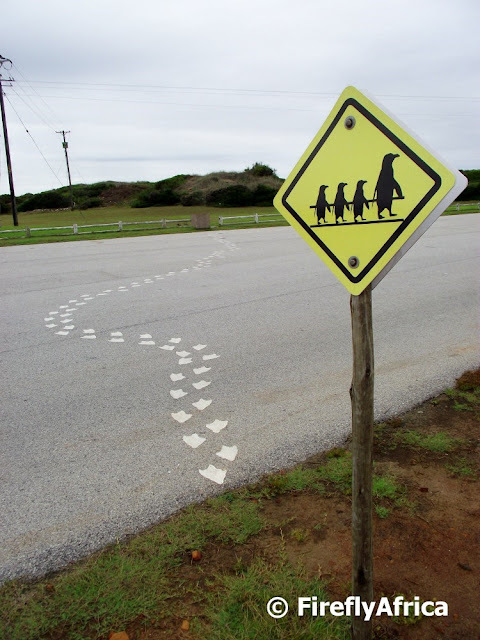 Why did the penguin cross the road? The chicken was having the day off. Zebras (and humans) make use of a zebra crossing to get to the other side of the road, but the penguin would have made use of the penguin crossing outside SAMREC at Cape Recife. One of the main reasons SAMREC was established is the close proximity to the African Penguin breeding colony on St Croix Island. The African Penguin (Spheniscus demersus), formerly known as the Jackass Penguin due to the fact that they bray like a donkey, is found on the south-western coast of Africa living in colonies on 24 islands between Namibia and Algoa Bay, near Port Elizabeth. 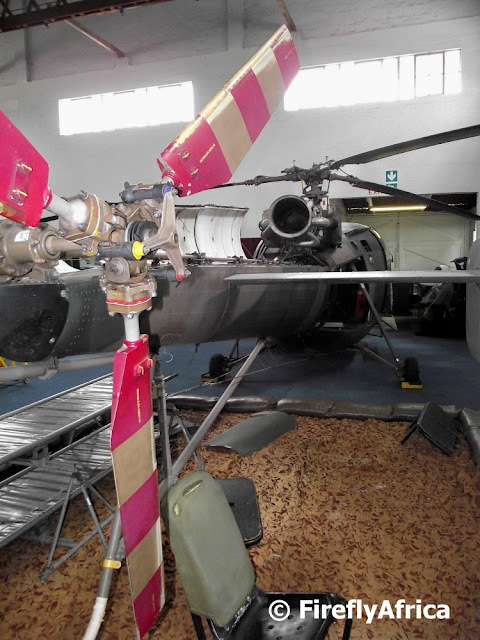 Penguins is a threatened and protected species and the numbers on St Croix Island have drastically decreased in recent years, prompting the importance of having a centre like SAMREC based in Port Elizabeth. 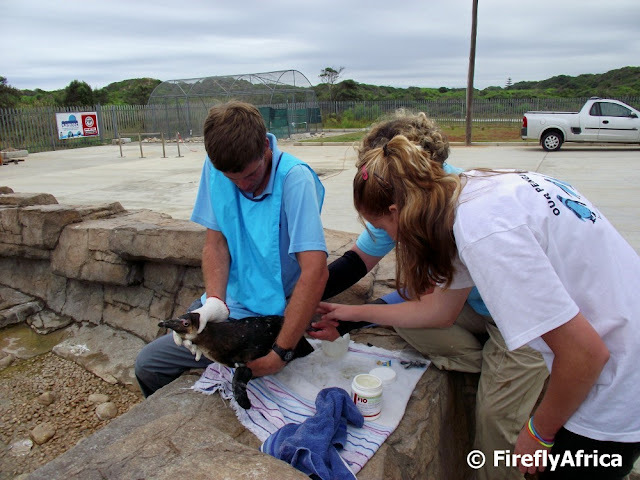 The penguins at SAMREC's rehabilitation facility at Cape Recife receive treatment on a daily basis. Here one of the penguins are having sores on his feet looked after by three of the staff members. You will notice that the guy is holding onto the bird very tightly. Like any bird penguins may not have teeth, but they can still give you a very nasty bite if you allow him to. 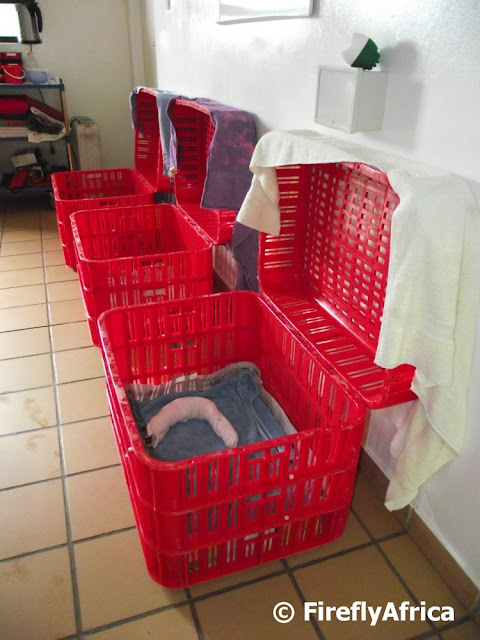 SAMREC has a dedicated ICU area set up at their facility at Cape Recife to handle any badly injured or ill penguins that are brought in. On my visit there were no birds in the ICU Unit and if there were any I wouldn't have been allowed in. 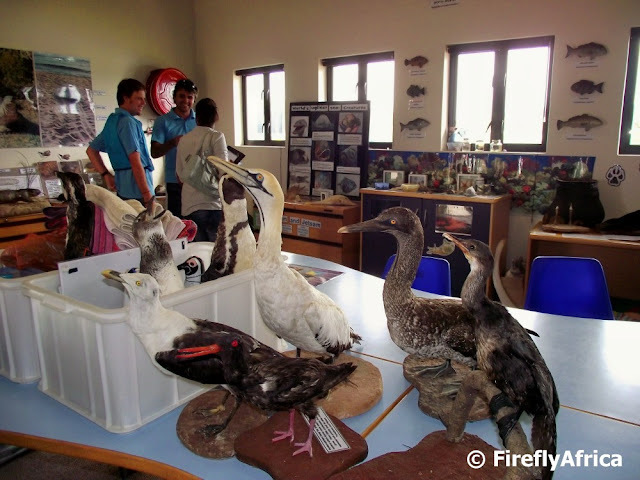 I decided to do a series on the South African Marine Rehabilitation and Education Centre (SAMREC) this week. 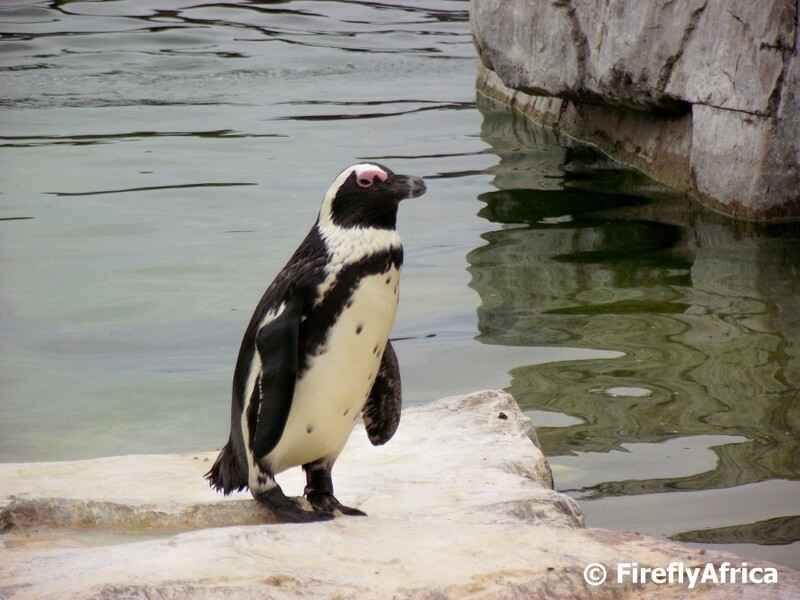 SAMREC is dedicated to the rescue and rehabilitation of marine birds with most of their focus being on the endangered African Penguins which breed on St Croix Island in Algoa Bay. Their centre at Cape Recife is open for visits where a staff member with take the public of a tour of the facilities. The first section on the tour is the Interpretive Centre, also known as the "Please touch room". Here they have examples of not just marine birds, but also other marine and land animals as well as lots of other interesting bits and pieces. The town of Despatch doesn't have too many historic attractions. One of those that it does have is a peculiar one. Its a brick chimney dating back to 1882 standing all by its lonesome self out in a field. Perhaps I should add, "like a sore finger". It dates back to the days when bricks were produced here and "despatched" to Port Elizabeth. 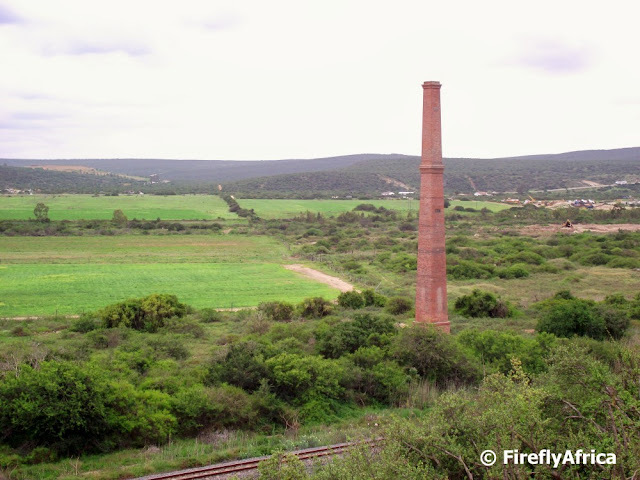 The chimney was recently restored as it has very close links to the history of the founding of Despatch. Unfortunately you can't get to it, but I heard the other day that there are plans afoot to build an access road for visitors. 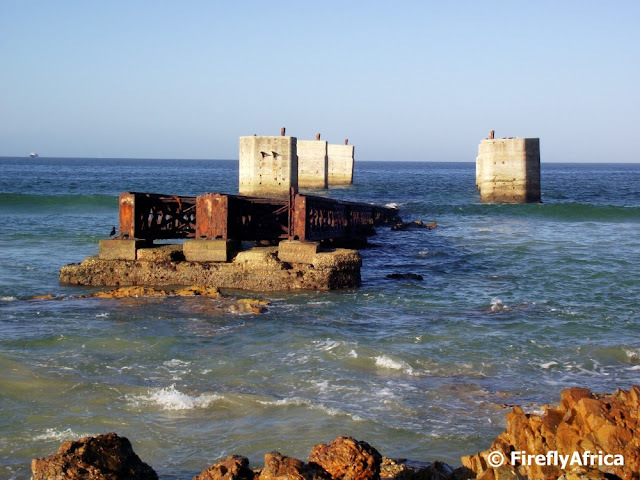 By now you should know that the old slipway at Humewood Beach is one of my favorite landmarks on the Port Elizabeth beachfront. In the old days before the harbour was constructed in the 1930's, boats needing repairs had to sail inbetween the pillars and would then be pulled onto the slipway with a steam driven pully. The area around the pillars is an ideal snorkeling spot if the sea is calm as there are lots of fish species about. 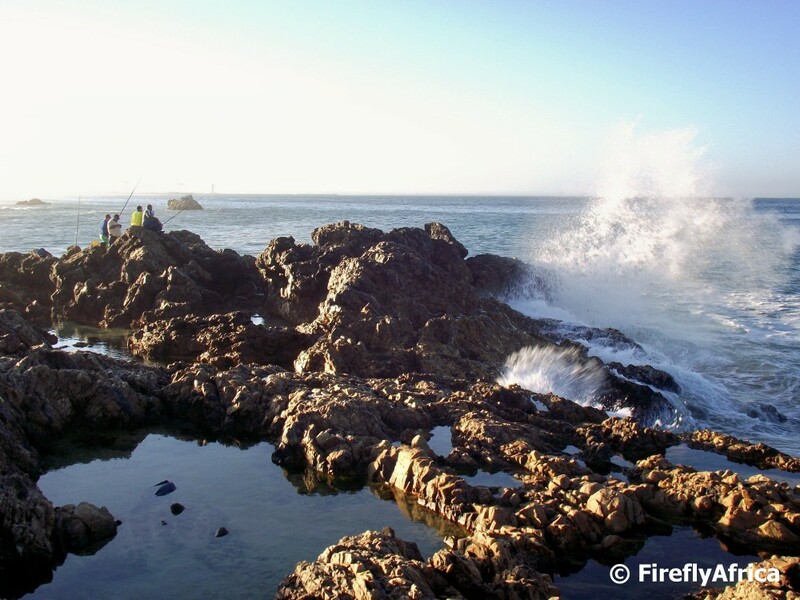 The other day I did a post on the beachfront promenade and mentioned that it has been extended to go all the way to Flat Rocks. The section from Polock Beach onwards was only completed about a year or so ago and consist mainly of these "planks" made of recycled plastic. This section is known as the Humpback Dolphin Trail and is named after one of the dolphin species that occur in Algoa Bay. The Seaview Game and Lion Park is well known for their white lion breeding project. 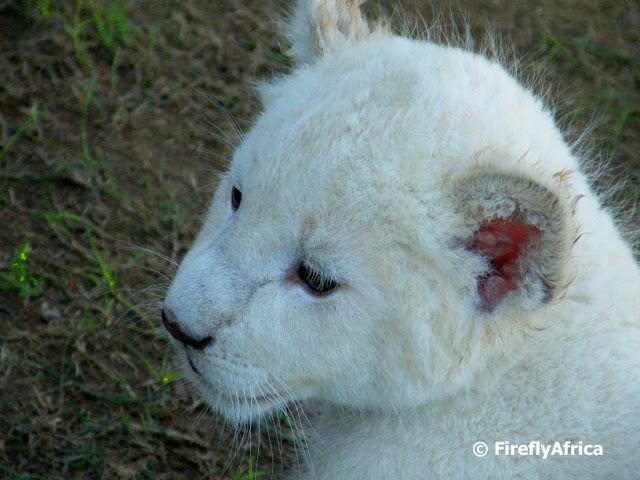 The highlight for a lot of visitors to the park is the opportunity to play and interact with these cute little critters. Normally this is where you hear lots of "Aaaaaahhhhhhhh" 's. 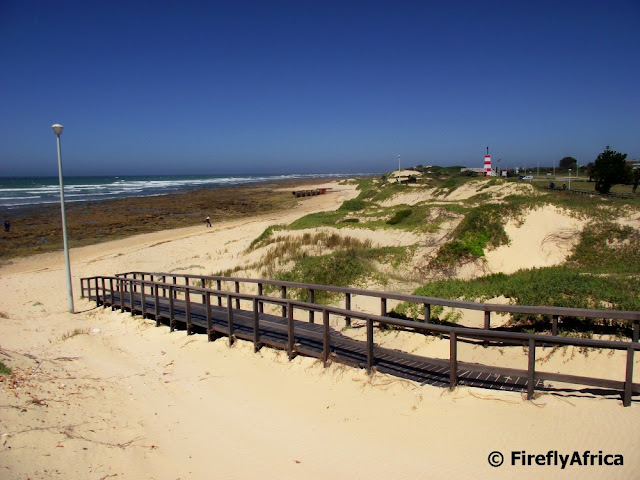 Looking east from Maitlands Beach, the houses you see in the distance is Beachview. 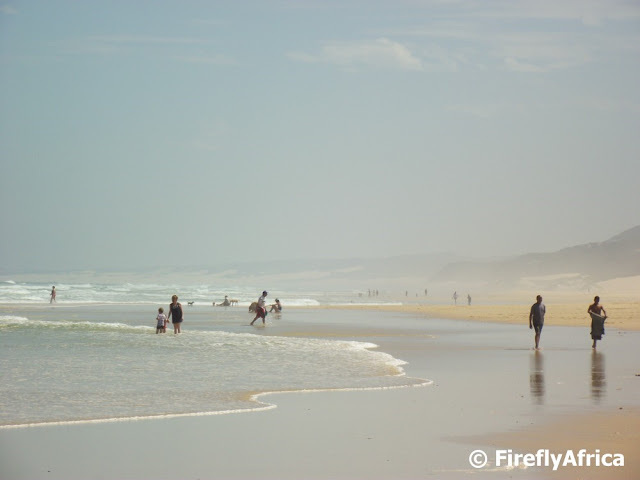 Beachview and neighbouring Seaview and Kini Bay are suburbs of Port Elizabeth although they are situated about 20 km out of town along the Seaview Road. Most of the houses in these areas have fantastic sea views and it isn't hard to figure out how Seaview and Beachview got their names. I've posted about the Almshouses, built in 1822, in Bethelsdorp before, but I liked this picture with the deserted swing hanging from the tree across the road. It actually didn't catch my eye at all when I took it and if it did I would have framed it better. I just wanted to get a picture of the Almshouses with the tree in the forground. How unusual for me not to pick it up at the time. 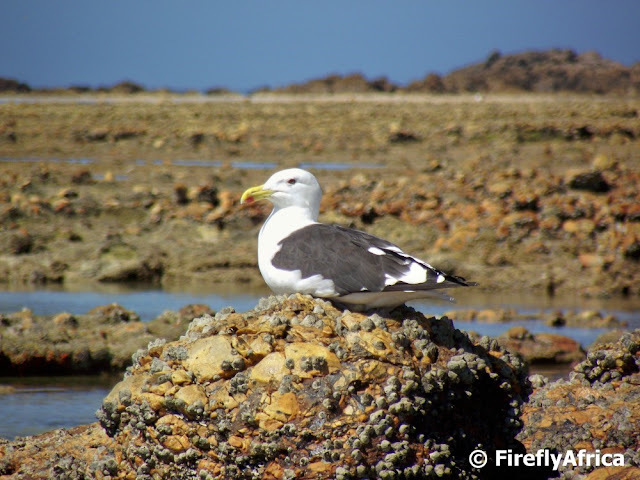 One of the many marine bird species we find in Port Elizabeth is the kelp gull. This one parked himself on a rock at low tide next to Hobie Beach and kept a watchful eye on me as I slowly sneaked around him to get the sun behind me. Some people collect stamps while others play cricket or rugby, but not many fly remote control gliders. 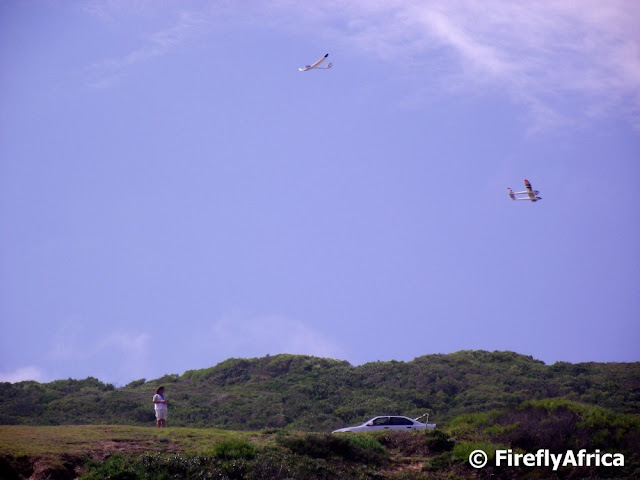 The hillside above Maitlands Beach seem to have become a very popular spot to fly remote controlled gliders. The weather was very nice last Sunday and we took the kids down to Maitlands for some fresh air. While we were there two guys were playing around with their toys above us. On my walk along the beachfront the other day there were a couple of surfers out at Pipe at Polock Beach. 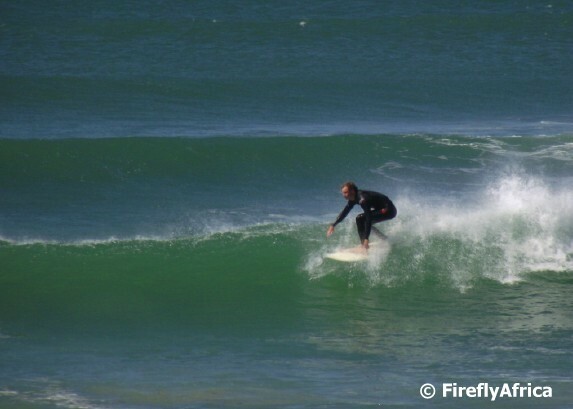 Surfing is one of the sports that I have never tried. 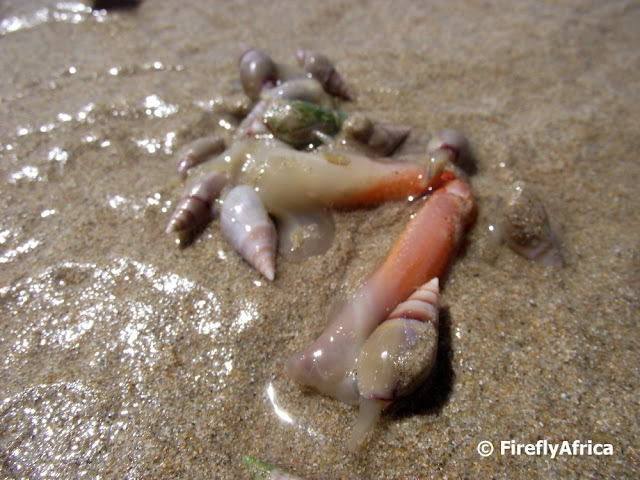 I do body surfing with a "surf gun" attached to my hand, but have never done it on a surf board. Its days like this that I wish I had a nice fast camera with a really long lense to capture these shots properly. 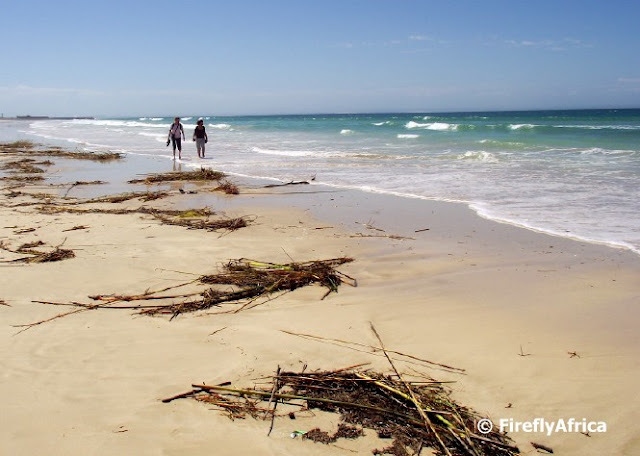 Autumn is setting in and the beaches are getting more deserted during the week. Saying that I realise that I haven't even been for a swim on a PE beach this summer. Shame on me. Anyway, on weekends you still get a few folk going down to enjoy the warm early autumn weather, but otherwise summer is starting to be a thing of the past. I still think the weather this time of year is the best we get in Port Elizabeth. Not too hot, but not cold and very little wind compared to summer.